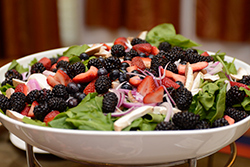 Ours is the event of choice for holistic nutrition professionals and students! Nationally acclaimed speakers, amazing organic & sustain-ably grown foods, and networking opportunities draw holistic practitioners from around the globe. Why Should You Attend the NANP Annual Conference? You’re looking for personal growth and development opportunities in your field. The NANP Conference gives you an unparalleled chance to learn, grow, and connect with leading industry professionals and like-minded practitioners and students. Click below for one attendee’s description of her experience at our 2017 conference. 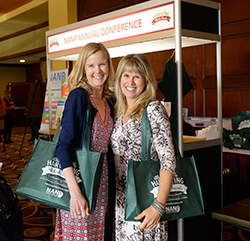 The National Association of Nutrition Professionals (NANP) Annual Conference provides comprehensive educational programming and networking opportunities for nutrition professionals from across the country and around the world. The money you spend on the 2½ days of the NANP Annual Conference are the most cost-effective personal/professional development choice you will make all year. It is often challenging for nutrition professionals to find meaningful training that can provide both breadth and depth in topics and professional development opportunities. NANP’s year-round educational sessions, including the Annual Conference, have been proven to deliver the highest value professional development. Over the course of 2 ½ exciting days, attendees will trade ideas with peers, and learn from today’s foremost leaders and experts. They will have the opportunity to evaluate current best practices, all while building a powerful community of colleagues, business partners, and friends. With twelve breakout sessions, two general sessions, and numerous networking events we promise to deliver personal and professional growth opportunities, develop your career knowledge, provide you with innovative ideas, and boost your bottom line. We'll explore the most current science and trends in holistic nutrition, rich with ideas and protocols you can implement in your practice on Monday morning. In addition to the conference content, there are ongoing opportunities to discuss emerging issues and best practices with other nutrition professionals, vendors and consultants across a broad continuum of nutritional issues. In a single venue, attendees can discover best practices from leading experts and talk one-on-one with experienced vendors. Attendees will also have the opportunity to swap tips and techniques on industry hot topics and listen to others describe their experiences with implementing new protocols and client strategies. As past attendees have described to colleagues, the value of the networking opportunities alone exceeds the price of admission. Connect with your peers and leaders from all segments of the holistic nutrition industry. Share your ideas and visions at interactive workshops and round-tables. Learn from leaders in the field. Twelve breakout sessions covering a plethora of valuable nutrition and biz-building topics give you invaluable access to the most knowledgeable nutrition industry experts. Explore new and innovative solutions at the general sessions, with speakers and topics to intrigue, inspire, and entertain you. Delve into today’s hottest topics at any of the breakout sessions designed for in-depth learning. Evaluate the latest products, programs, and services at the NANP Conference EXPO on Friday and Saturday.